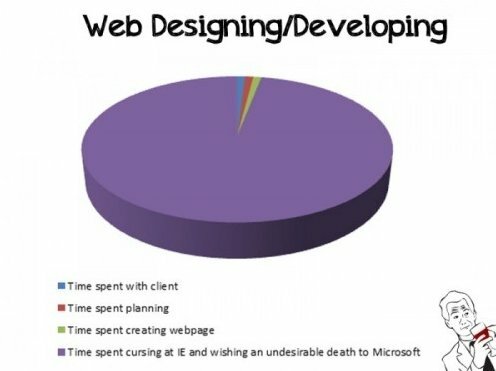 If you are a web developer, then you know the headaches that Internet Explorer causes in UI developement. 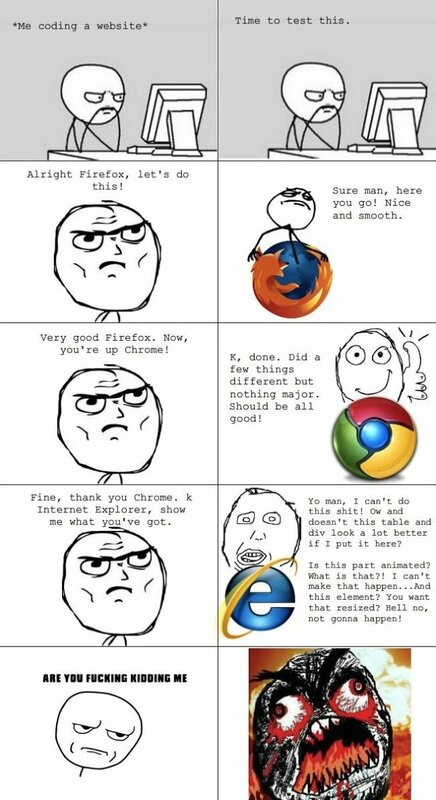 Its the love for developing in Chrome or even Firefox and then switching to IE and having days of tweaks to get it to work because your company thinks we still have to support Internet Explorer 7. 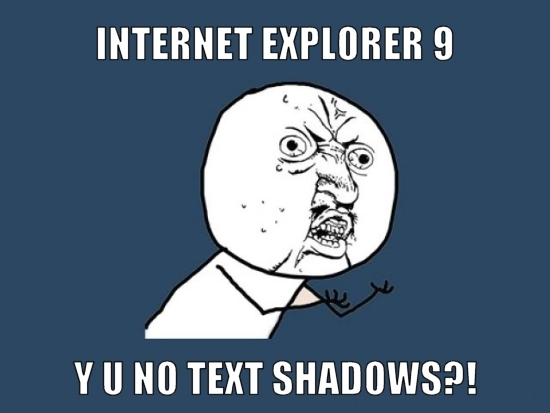 However, Internet Explorer 8 and 9, even 10 now have there fair share of differences that make our lives that much more difficult. This is one of my favorite pie charts haha.